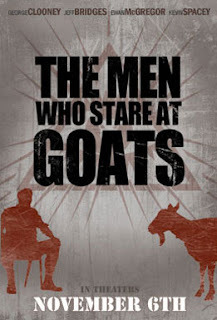 Would you watch a film with the title The Men Who Stare At Goats? George Clooney, Ewan McGregor, Kevin Spacey, Jeff Bridges , J.K. Simmons and Robert Patrick. If the answer is still no then what the hell are you doing reading this blog? Goodbye!